Prepare healthy, delicious stir-fry meals quick and easy! Stir-fry cooking sears ingredients fast in a small amount of oil preserving nutrients, fresh colors, flavors, and textures. The wok's body and handles are made of luxurious stainless steel. Tempered glass cover also features stainless steel rim and handle. Special aluminum-clad base provides fast and even high-temperature cooking. A 1500-watt heating element provides the high searing temperature needed for stir-fry cooking. Includes long-handled wooden spatula with wide-angled edge that conforms to the shape of the wok. Easy to clean! 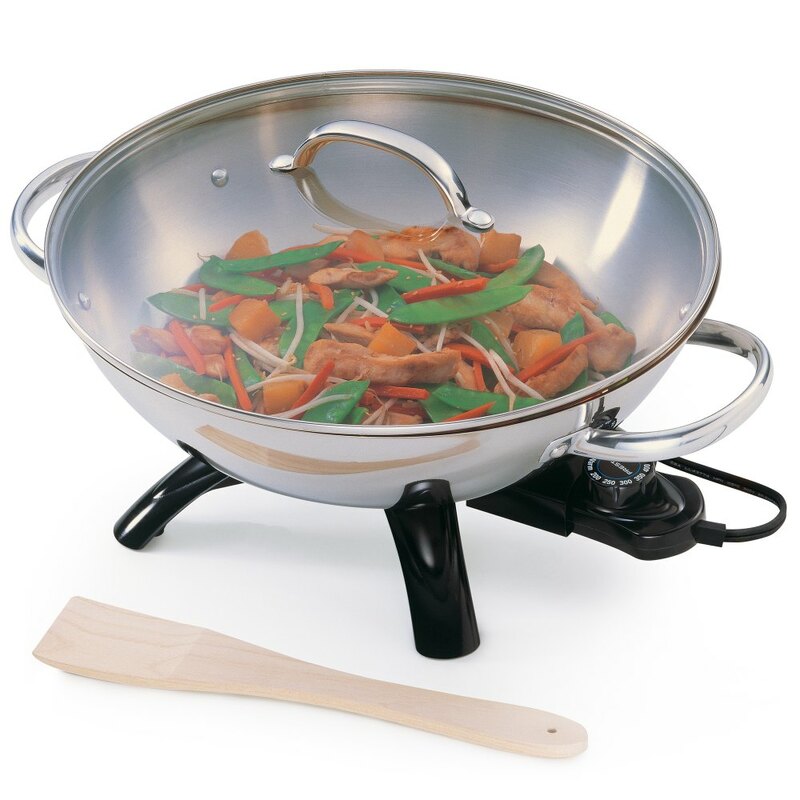 Wok and cover are fully immersible and dishwasher safe with heat control removed. Luxurious stainless steel body and handles with an aluminum-clad base. Tempered glass cover with stainless steel rim and handle lets you see what’s inside.